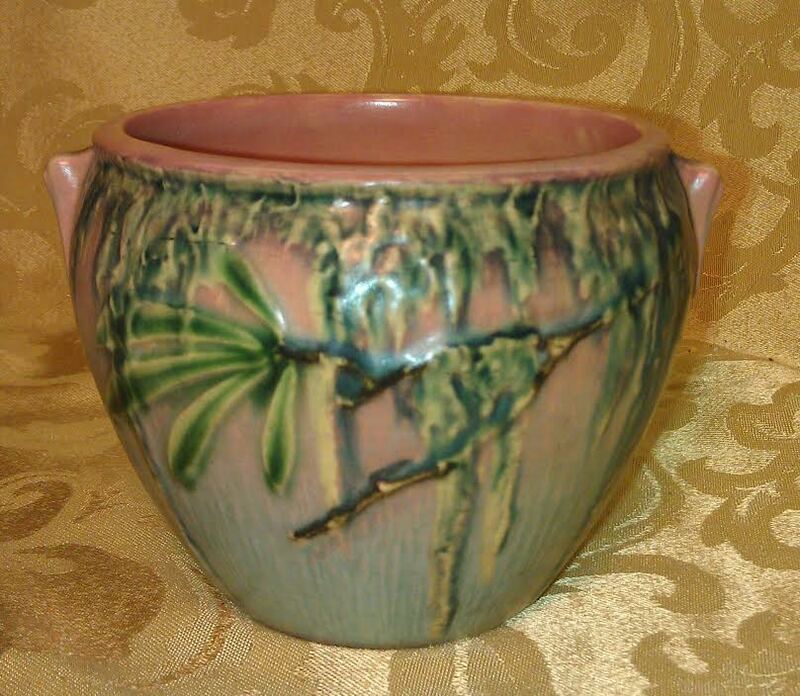 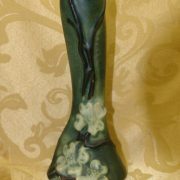 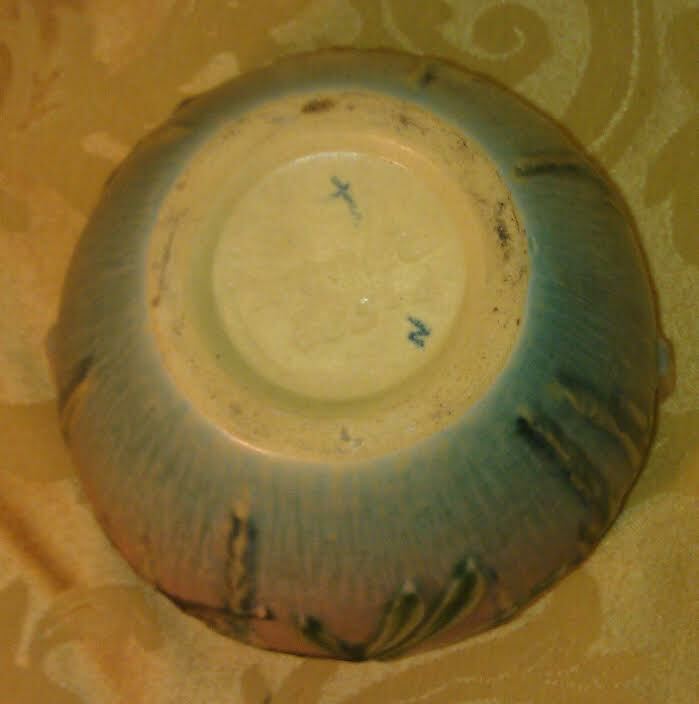 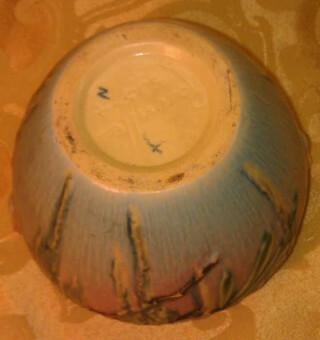 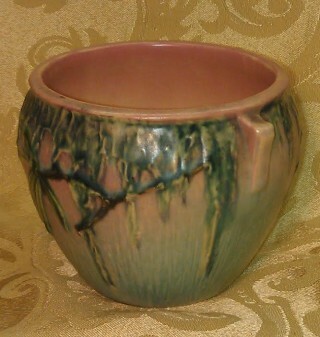 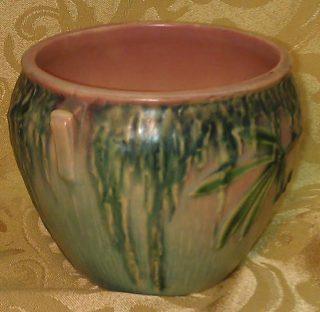 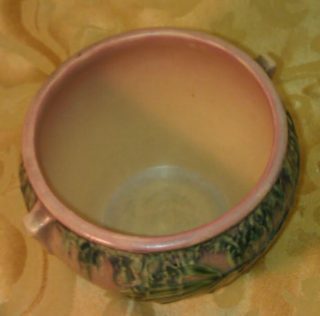 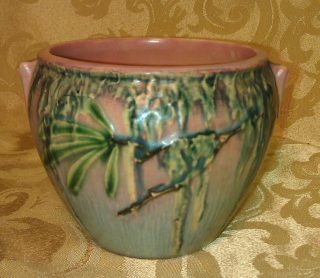 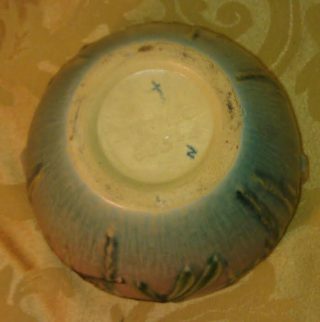 This beautiful art pottery jardiniere was made by the Roseville Pottery Company in Zanesville, Ohio. 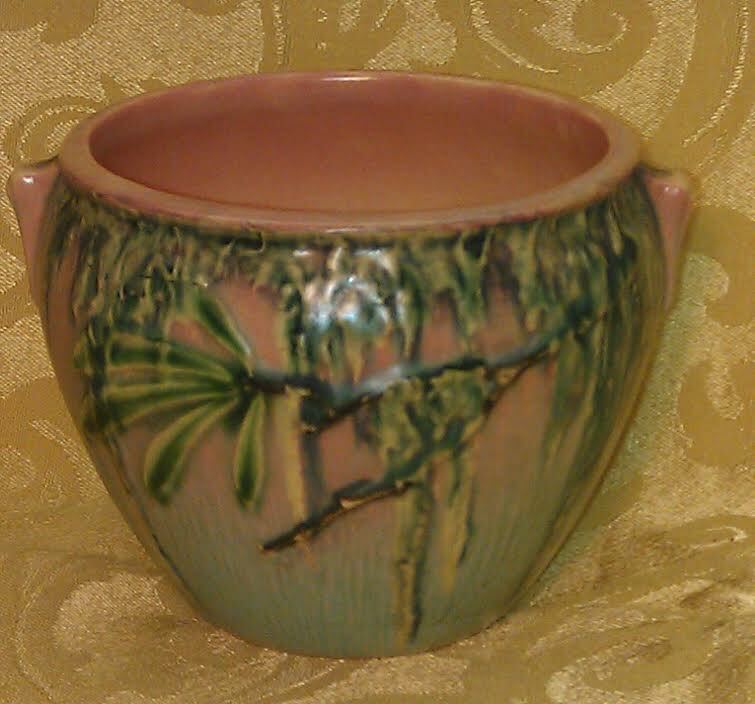 Has a pink interior and a green Spanish moss design on the exterior. 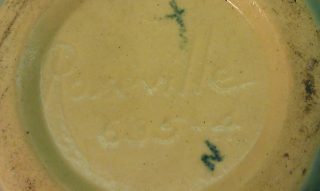 It is marked “Roseville 635-4”. 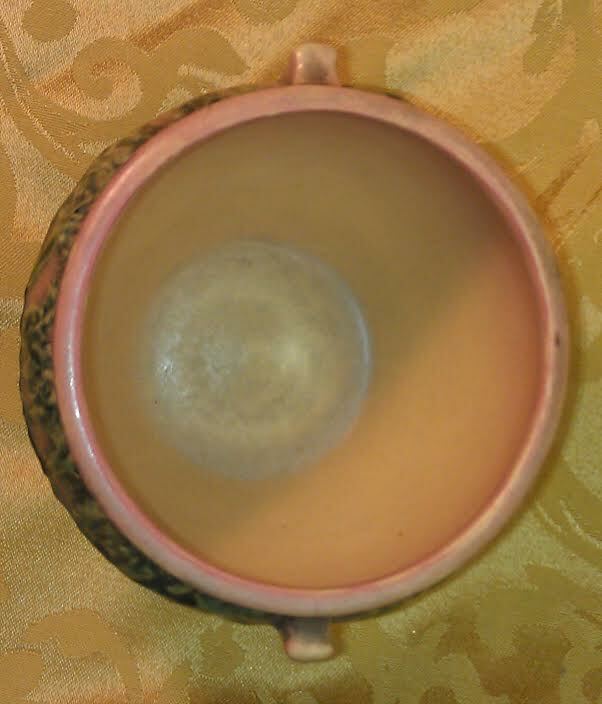 It's in nice condition with no chips, cracks, or repairs; however, there is faint crazing on both the inside and outside. 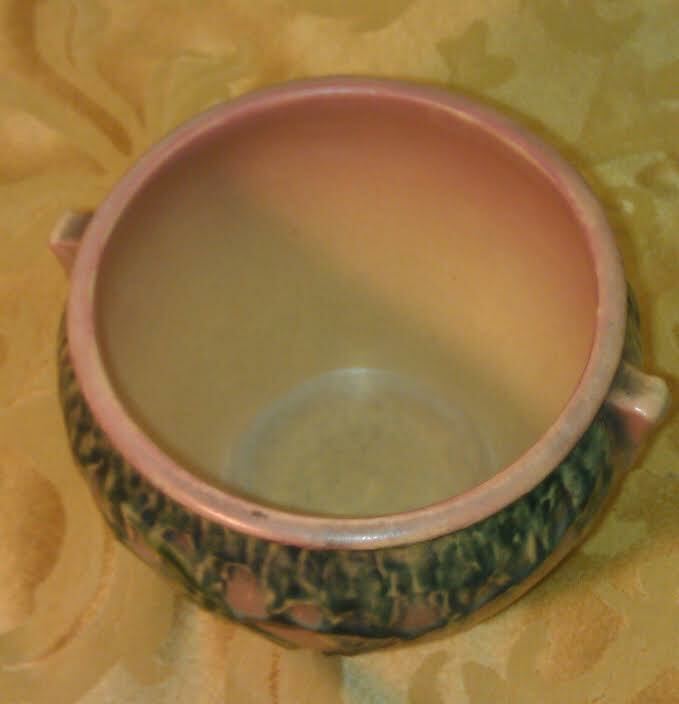 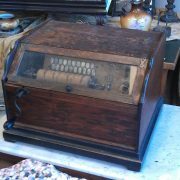 The jardiniere was made c. 1936-40.